"Sometimes, carabaos also need a break from the farm and truly, this is their day -- a day for fashion and fun the carabao way." 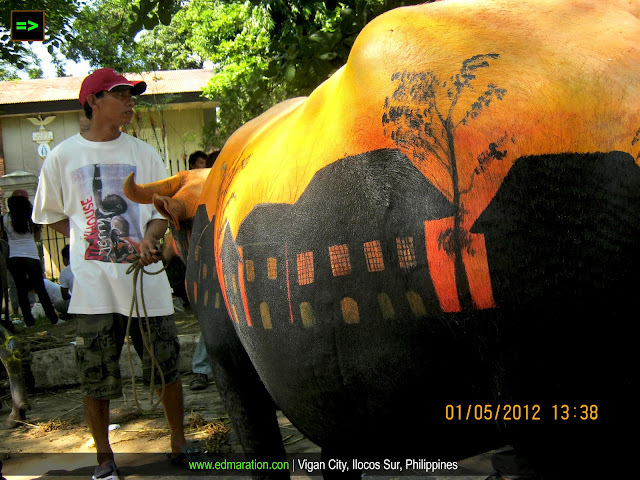 Painters usually use canvass to showcase their talents in painting but the case in Vigan is different because Carabaos turned to be the canvass. 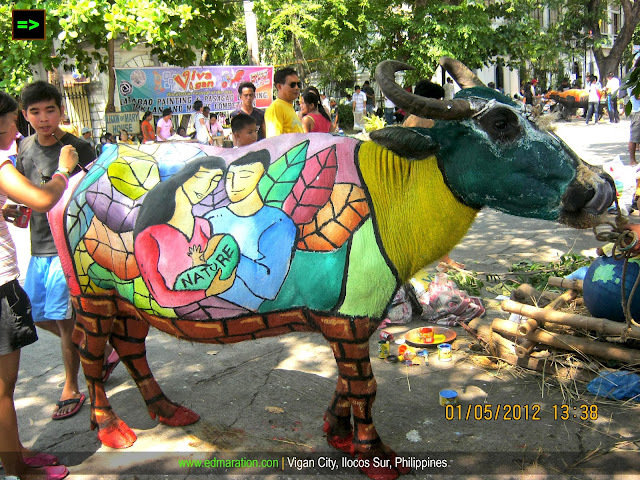 This event is a part of the Viva Vigan Festival of the Arts 2012. A collection of events and festivals under one mother festival that happens usually at the last week of April and the first week of May. The young and the old, everyone showcased their talents and with this event, it showed that age doesn't matter. As long as you have the passion for the arts, you can create an exceptional product. 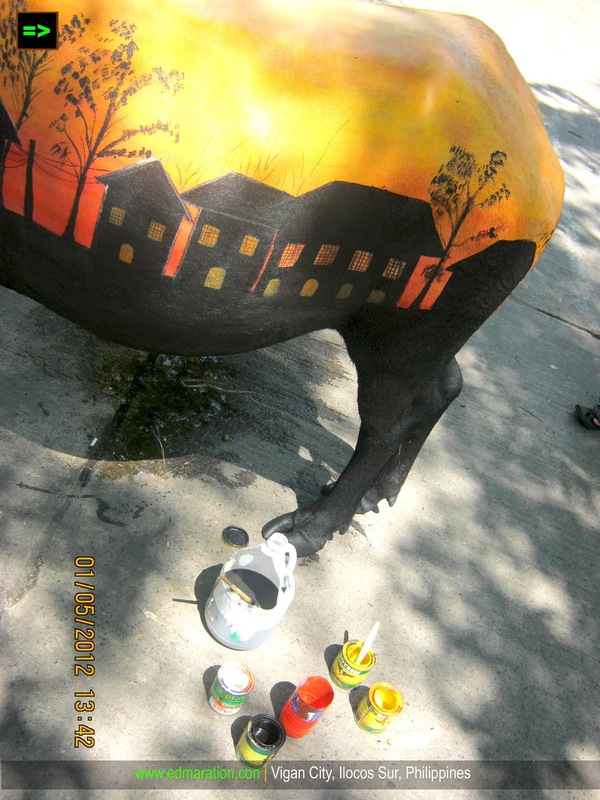 On a street called Nueva Segovia, several Carabaos (whose colors are gray to black) turned to be a colorful work-of-art. 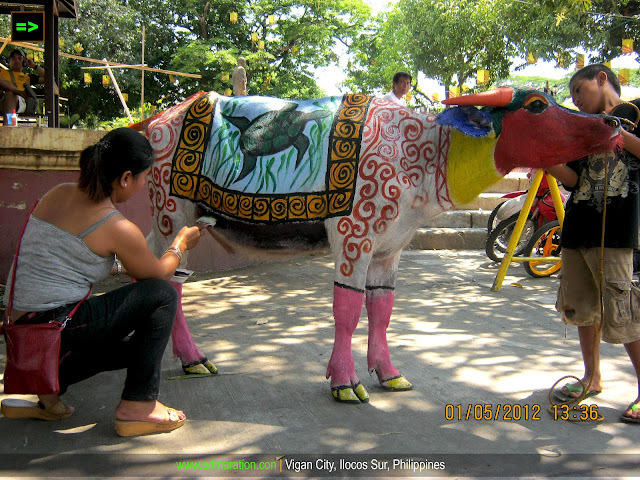 The carabao painting started as early as 7 am and to note, the work to be done was not an easy task because the carabao painters were just able to finish it after 8 hours or more. 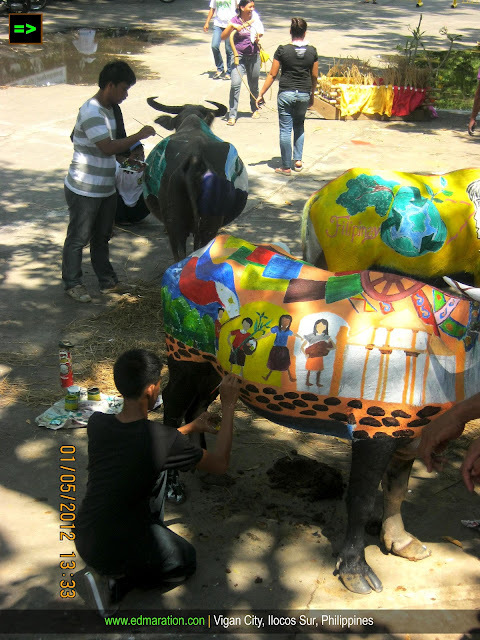 Every painter seemed so busy and focused but their efforts were not in vain because the products of their creativity have made watchers, tourists, visitors and the like to stand in awe as they are watching the transformation of the carabaos. 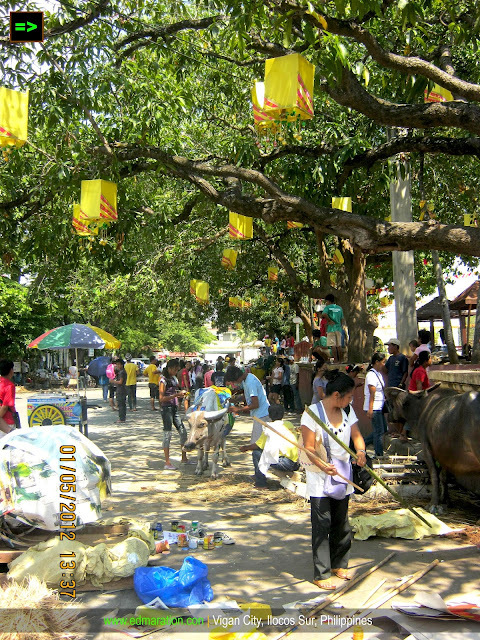 As I watch the carabao painters, I know it was not an easy task. 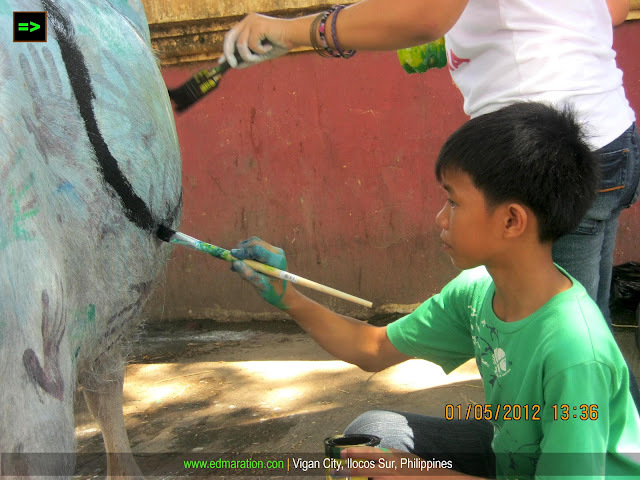 It really requires passion and dedication to learn the art of carabao painting and as I observe them, they seemed to be enjoying what they were doing. At first the carabao whose color is usually gray or black was painted first with white -- the dark animal turns to be an angelic white, lol! Now, I have no more words to say so I will be overdoing this post with a lot of photos, I am speechless, lol. Please enjoy the photos. There you have it the lovely Carabaos of Vigan. 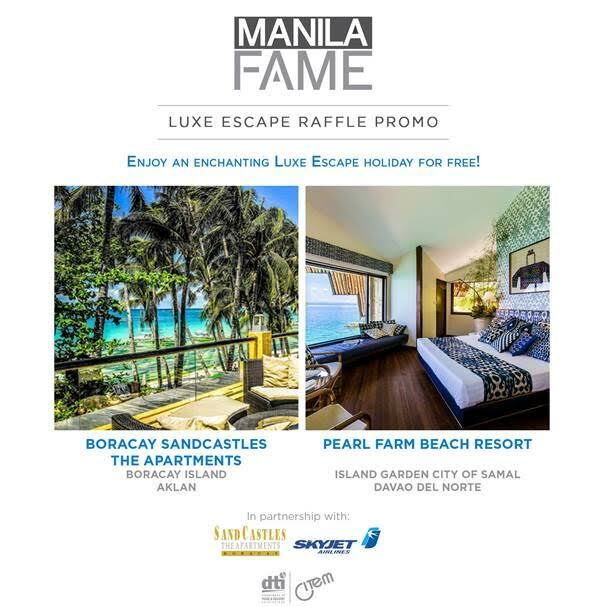 Sometimes, carabaos also need a break from the farm and truly, this is their day -- a day for fashion and fun the carabao way. Ganun ba Mai? actually naisip ko rin yun lalo na ung mga masasabi ng animal rights advocates. aintto | Hello there! It usually happens every April 28, or 29, or 30. It depends, This years (2013), it happened last April 29. :) Tapos na siya. 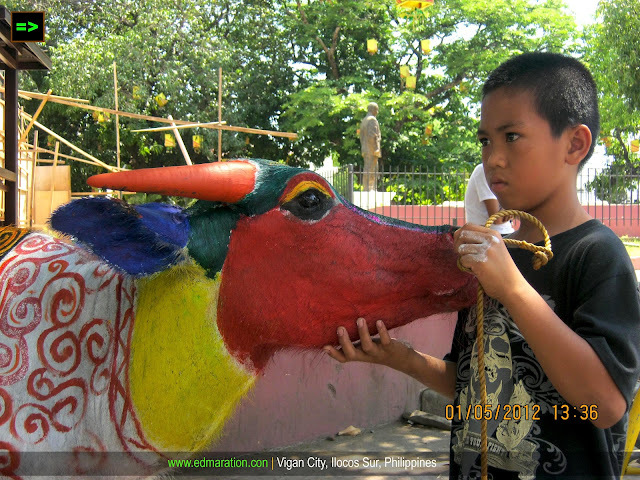 hi edmar, would you know kung kelan ang carabao painting this year? thanks! hi there... forgot to ask earlier. 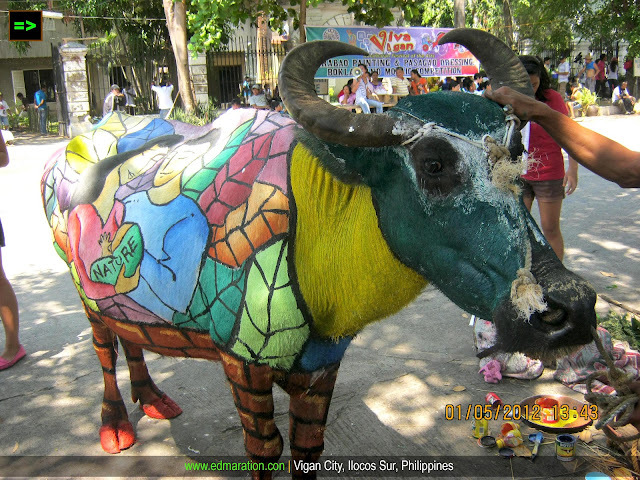 tapos na ba yung carabao painting? 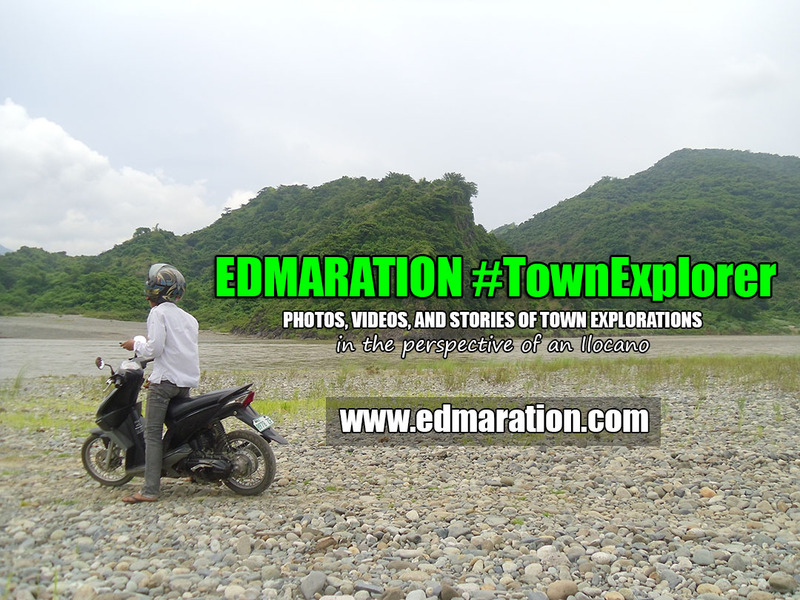 aintto | Yup, it's May 04, 2015 - Monday, 8 AM, Nueva Segovia Street ang venue. thanks much! will be there.